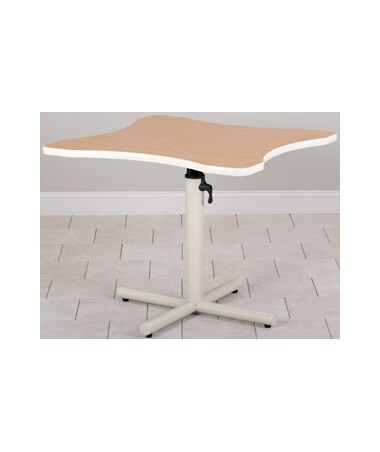 Length of 36" and Width of 36"
The Clinton Industries Soft Curve Lift Hand Therapy Table is a high-quality exercise and treatment medical device designed for therapy & rehabilitation and features an easy-to-clean 1 1/8" laminate top with a sit-close cut-out on all side that allows patients to sit closely. 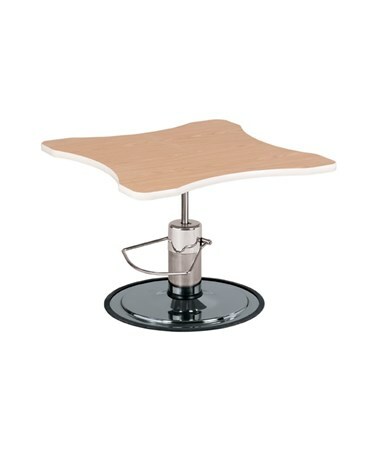 With a choice of having either a gas spring lever or a hydraulic foot pump, the Soft Curve Lift Hand Therapy Table is made for easy height adjustment, comes with a length & width of 36" and has a 5 Year Warranty. 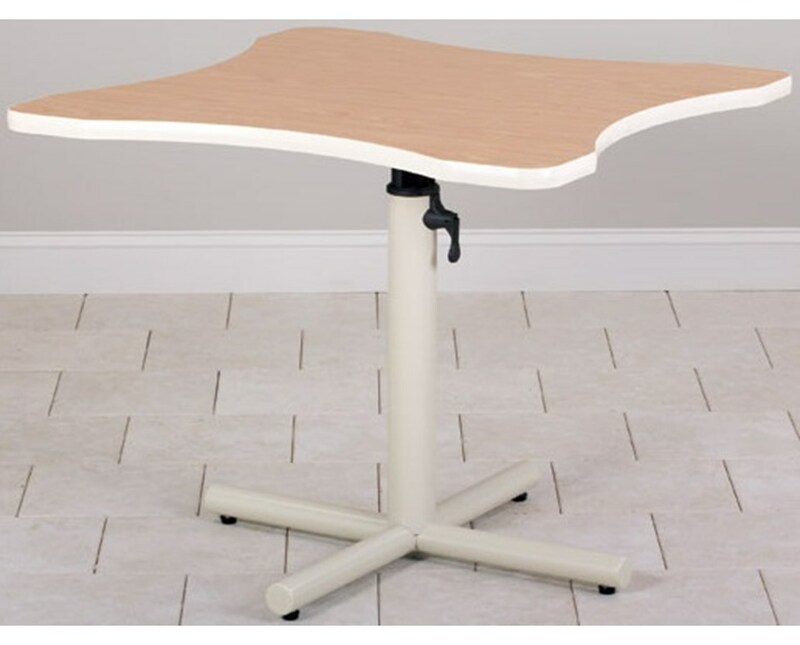 Height Range of 24 " - 36"
Height Range of 28" - 36"